If you're looking to accept a four-legged furry friend into your home, then look no further than Puppies ‘N Dogs. We offer a large selection of dog breeders from around the country in one location. Browse our listings from the convenience of your home, 24 hours a day, 7 days a week to find the puppy you are looking for from our preferred dog breeders. If you are searching for a specific dog breed, then narrow your search by selecting that particular breed from our drop down menu. You can also search by state and city, in order to find dog breeders near your location. Find the puppy you've been looking for; start browsing our dog breeders today. There are many dog breeders in the world, but choosing the wrong one can result in puppies with temperament problems and/or poor health. The worst part is you may not discover this right away, rather years down the road when your beloved pet becomes sick. When bringing a new puppy into your home, you will want to find the most reputable dog breeders. Research is your best avenue. You will want to visit all potential dog breeders and get referrals from veterinarians and local breed clubs. Below are a few things to consider when analyzing dog breeders, in order to choose wisely and find a happy, healthy puppy. 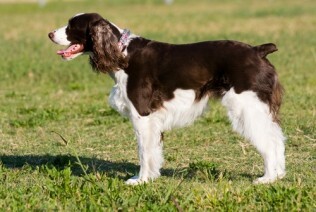 Knowledgeable about the breed and, at most, only breed two types of dogs. Often don't have puppies available right away, but have a waiting list for future litters. Keep dogs in home not in kennel runs. Keep dogs in clean, well-maintained areas. Make sure dogs are happy and healthy. Be cautious of dogs that shy away from visitors. Allow you to spend time with the puppy's mother and, if available, the father. Have documentation that the puppy's parents and grandparents have been tested to ensure they are free of genetic problems inherent with the breed. Are actively involved with local, state and national clubs that specialize in the specific breed. Have references available from veterinarians, local clubs and families who have purchased puppies from them. Offer guidance for training and caring for your new puppy. Feed puppies high-quality pet food. Provide you with a written contract and health guarantee. Require you to explain why you want a dog, who will be responsible for care, training and where the dog will spend his/her time. Have you sign a contract stating you will return the dog to the breeder should you be unable to keep the dog at any point in the dog's life.